How Do You Clean The Disgusting Grime off Kitchen Cabinet Hinges, Knobs and Pulls? When giving your kitchen a fresh new look, you don’t have to pitch the old kitchen cabinet hardware and knobs. 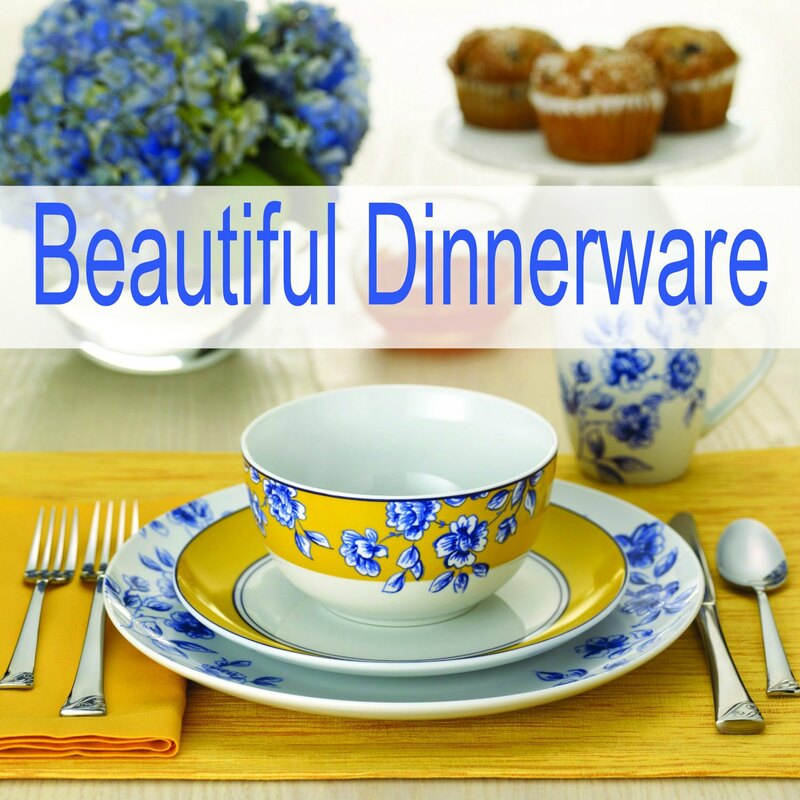 With a little elbow grease and a lot of love, they will look great again. This is a picture of my cabinet handles after I cleaned them. Here is all you need to clean your kitchen clean cabinet hardware and hinges just like I did. WARNING! If your clean cabinet hardware and hinges are made of a special metal, like Pewter or Brass, please make sure to read this post all the way through. Some metals need special care, while others can be cleaned with just basic cleaning supplies. Step One: Remove the clean cabinet hardware and hinges (I only did the knobs). I do this with a screwdriver, but if your screws are on the inside, it’s safe to use a drill to do this. It will be faster. Step Two: Put the cabinet hardware and hinges in a bucket or the kitchen sink with a solution of equal parts of warm water and vinegar. Let your hardware soak for a few hours. If they are really bad, I would let them sit overnight. The vinegar should loosen the greasy gunk. Step Three: Dump the vinegar and water mixture. Fill the sink or bucket again with warm water and Dawn soap. I just squirted a big squirt of Dawn in there. I didn’t measure. Let that set for about an hour, then come back to see how it’s doing. Step Four: Once you see that the gunk is falling off, gently scrub the hardware with a rag or a kitchen scrubby. 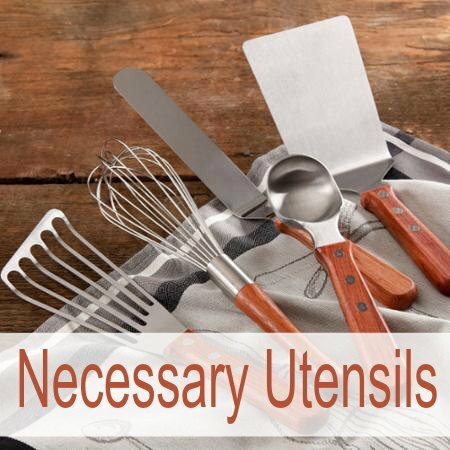 You can use an old toothbrush to get in the little creases. Step Five: Rinse the clean cabinet hardware and hinges with clean water. Lay them out on paper towels or a cotton towel. When they are dry, put them back on the cabinets. No harsh chemicals and I think it did an amazing job. Here is a video of how it turned out for me. Enjoy! 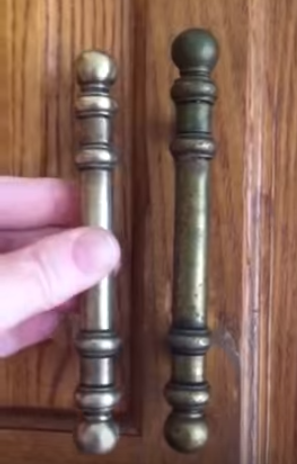 How To Clean Tarnish Off Silver, Cooper, Brass, or Pewter Kitchen Cabinet Hardware and Hinges? 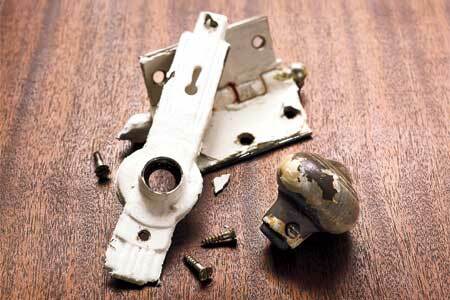 Sometimes you will see that the metal on your cabinet hardware and hinges has tarnished. There are ways to try to clean that off. I truly believe in trying to clean the old hardware before buying new. New hinges and knobs are so expensive and you need so many. So try to clean them first before you decide to make a huge purchase. Mix 1 tablespoon of ammonia with 1 pint of water. Wipe them with this solution and soft rag, try buffing them until the tarnish and dirt is gone. Then just rinse with clear water and wipe dry with a clean rag. There are commercial products that will do the same. I like Weimans Instant Tarnish Remover. It works fast. But remember, this is for tarnished silver or copper cabinet hardware and hinges, not gunky ones. After you get the grime off you may need to use a product like this to remove the tarnish. 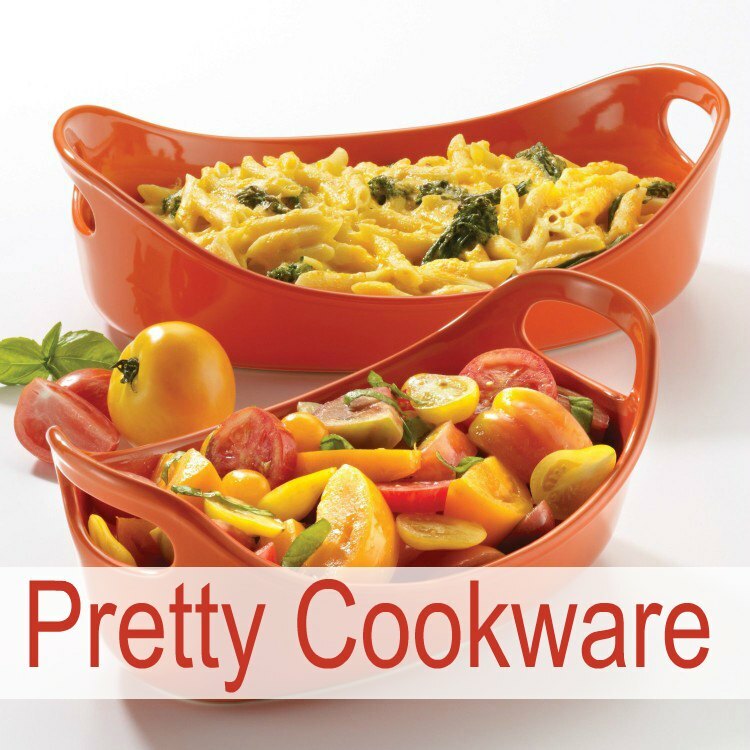 Mix 1 teaspoon of mild dish soap with 1 pint of water. Wash the cabinet hardware and hinges well and then rinse with clean water. Dry them and put them back on the cabinets. There are commercial products to clean pewter as well. My mother always used Hagerty Pewter Wash. It worked great! 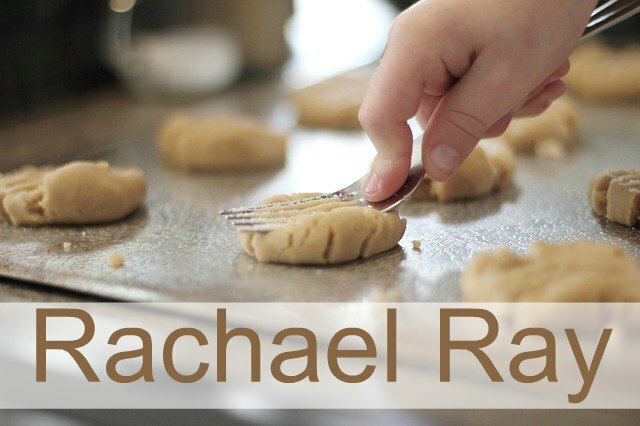 Make a paste with 2 tablespoons of lemon juice and 1 tablespoon of baking soda. Don’t be alarmed when the paste bubbles. This is normal. 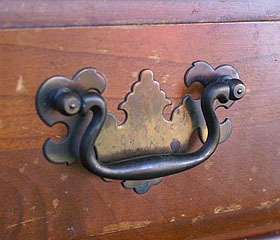 Now rub the paste onto brass knobs and buff the tarnish away with the paste and a soft rag. Rinse with clear water and wipe dry.They are ready to go back on the cabinets. Brass cleaners are available if you don’t want to use the lemon juice and baking soda mixture. I like Weiman Brass Polish because it is gentle and won’t scratch your brass. 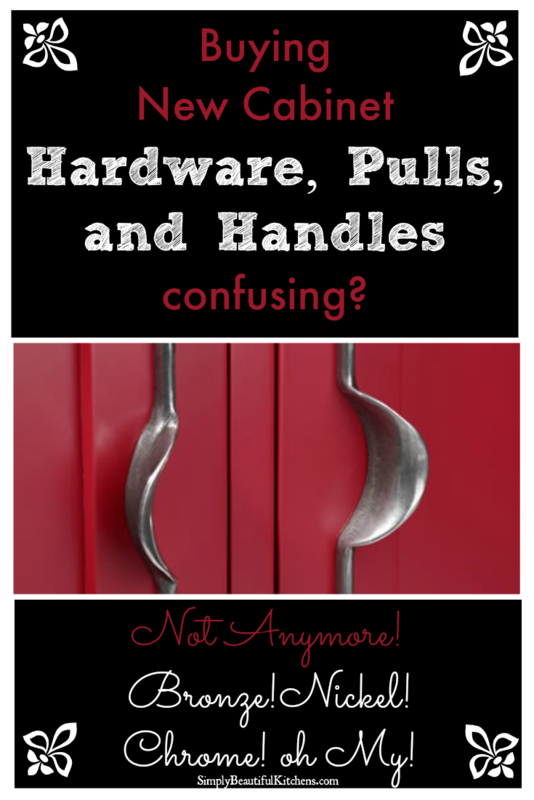 I have heard a great tip to keep tarnish from building up on your cabinets hardware. Once a week wipe them down with a dryer sheet. Sounds easy enough…right? Try it and see. How To Clean Paint Off My Cabinet Hardware and Hinges? 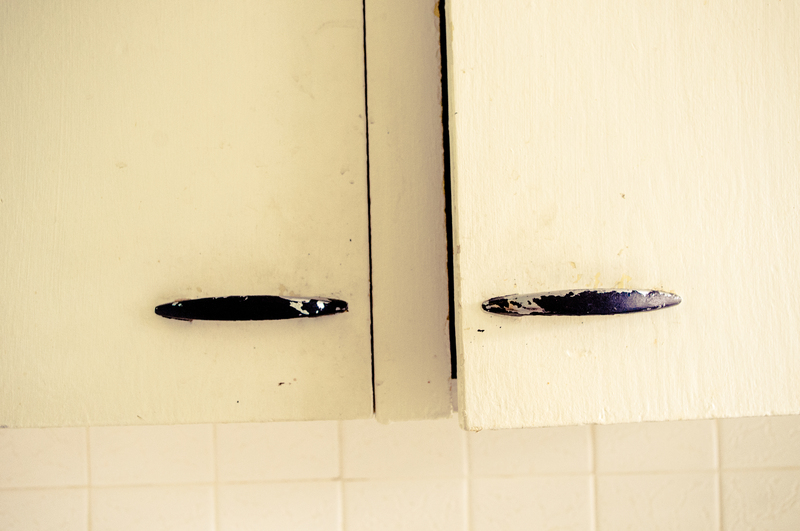 I have lived in old homes where the cabinets had been painted over and over again. But they painted the cabinet hardware and hinges, too. I wanted to repaint the cabinets, but I thought they would look a lot better if I could get the paint off the old cabinet hardware and hinges. I would spent hours and days scrubbing and scraping and using paint strippers that stripped off my skin without really taking the paint off the hinges. Years later I saw the most amazing trick. I love to watch a show on DIY Network called Rehab Addict. 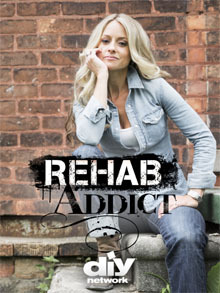 Her name is Nicole Curtis and she rehabs homes, just like the show title sounds. In one episode she cleaned old painted cabinet hinges. The reason I like to watch her is because she believes in keeping the original things with the house. 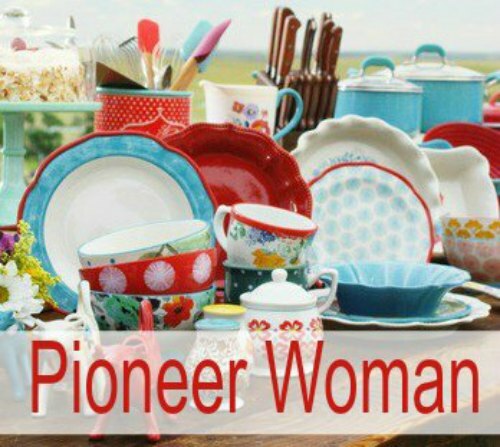 What she did to the cabinet hardware and hinges was amazing, and so simple! Step One – Put the old painted hinges and handles in the crockpot. Step Two – Cover them with water. Step Three – Turn the crockpot on low. Step Five – After a few hours, check to see if the paint is coming off. They may need a little help, but for the most part, the paint should just peel off. I was afraid that maybe this too easy to be true, so I did a search on Google and found a blogger who actually used this process and it worked. 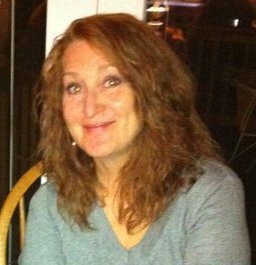 Here is a link to her blog “Splendid Spaces”about her experience. I would try this process before I tried paint stripper. That stuff is nasty and it will eat your skin unless you wear protective gloves. Not your normal gloves, really heavy duty gloves just for this stuff. 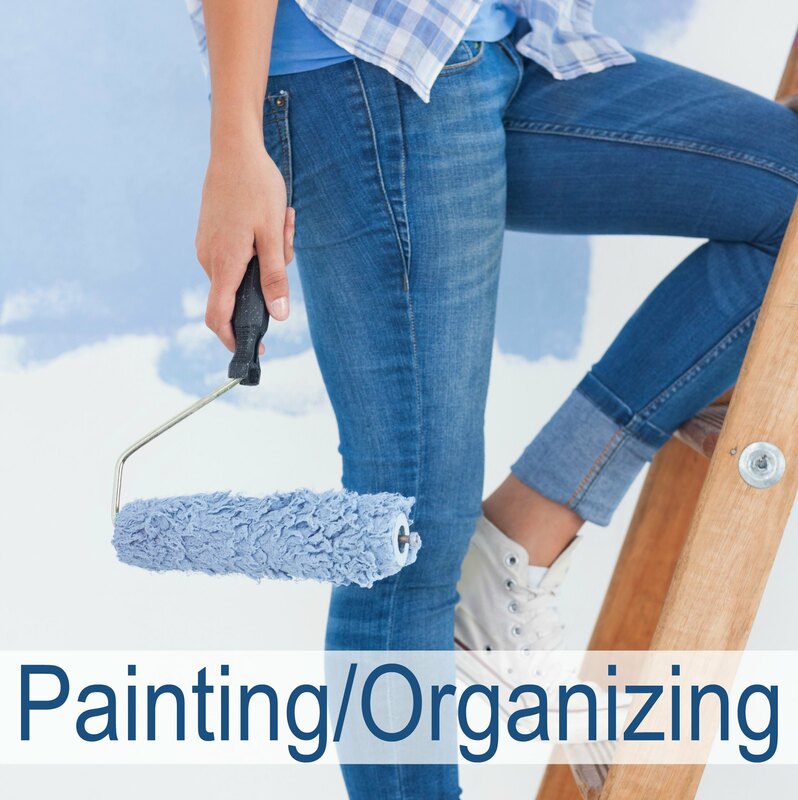 If you have tried cleaning your kitchen clean cabinet hardware and hinges and it just isn’t coming out as clean and shiny as you want, you can always put new hardware on old cabinets. Choosing new cabinet hardware and knobs.